Long Wharf Theatre "Goes Fresh"
“This has gotten us as an organization to thinking—well, obviously it’s not who we want to be, and what do we have to do to change that?” Thomas Breen Photo. Five months after calling in a lawyer to investigate claims of sexual misconduct, Long Wharf Theatre has released her report of findings—and is using it to mark a shift in what it does both internally and for the community. That news came from Long Wharf Theatre Tuesday afternoon, just hours after the organization’s Board of Trustees approved and released a report from trial lawyer Penny Mason to its staff. In an interview at the organization, Board Chair Laura Pappano and Managing Director Joshua Borenstein said that theater leadership will now be using the findings to mark a change at the theater that is both internal and external. Pappano noted that the findings will also go hand-in-hand with a multi-year strategic plan, the results of which will be released later this month. That work to change the theater began in late January, after the New York Times published multiple allegations of sexual harassment and assault against Long Wharf’s then-Artistic Director Gordon Edelstein. The board acted swiftly, firing Edelstein one day later and bringing on trial lawyer Margaret "Penny" Mason, a local partner at the national corporate litigation firm LeClairRyan. Internally, the theater also brought in Yale Professor Maria Trumpler, head of Yale’s Office of LGBTQ+ Resources, to address what Pappano repeatedly called “a very raw moment” on Tuesday. Mason’s methodology was threefold: she reviewed institutional documents including bylaws, multiple years of employee handbooks, and a standard offer of employment letter, spoke to 21 people comprising current and former employees, board members, and current and former managing directors, and took a tour of Long Wharf’s public and professional spaces. Going forward, Pappano said that board and staff alike have recognized a need for greater communication. That ranges from small changes like word usage in the employee handbook —one of Mason’s recommendations—to larger, organization-wide changes like regular meetings to facilitate communication between department heads. She noted that she's seen a shift in workplace culture already—on Tuesday, she had several staff members stop to chat with her, some recommending institutional changes. “I think when you appreciate what everyone brings to the table, then we can hear each other,” she said. “That’s what this is about. Truly hearing where a good idea comes from. It can come from anywhere." "It's also about building a culture of respect," added Borenstein when asked specifically about microagressions—smaller, sometimes subconscious hostile behaviors. "That way, the microagressions don't happen. If I respect you, I'm not subconsciously mansplaining stuff you've already said." Divided into four subsections, the recommendations include suggestions from facilitating workshops among department heads to refining the review process for sexual complaints. To specifically address communication and support between staff and board, one recommendation includes adding an EAP or Employee Assistance Program. With an EAP, Borenstein explained, staff members can call a phone number with their need or concern, and get a referral to a specific counselor, therapist, or social worker in the area. The program pays for the first three sessions, and the staff member remains anonymous. "All we see is that 10 people used the EAP, or that three people used the EAP," said Borenstein. Borenstein and Pappano both added that they recognize some of the recommendations will take time. In particular, the board has instituted an equal pay audit, slated to finish on Oct. 1 of this year. While “Long Wharf, historically, doesn’t paid well,” Borenstein said that both board and staff have recognized the need to raise salaries and equitably compensate employees. But, he added, “we may not be able to do that in one year.” To reach pay equity, he and Pappano said that the theater is looking at "every possibility," including growing the theater's $14.2 million dollar endowment and working to bring in grants and donors. 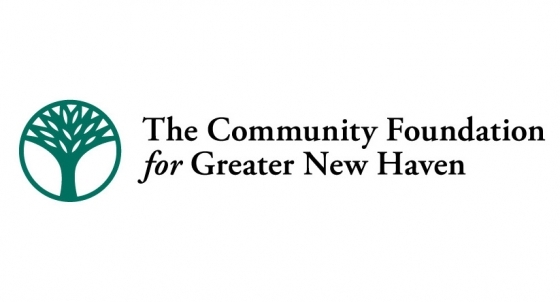 Currently, Long Wharf receives $34,660 in state line item funding, which disqualifies it from other grants from the Connecticut Office of the Arts. Per the committee’s recommendation, board and staff are also forming a group to target equity, diversity and inclusion in the theater’s hiring process. Borenstein said that the group will begin in the coming weeks with assistance from Chantal Rodriguez, associate dean at the Yale School of Drama. The two said they are also excited for the theater’s next biggest hiring move—its new artistic director, for which the board has hired Bruce Thibodeau and theBoston-based Arts Consulting Group. After posting the description, which includes the condition that the director must live in New Haven, last week, the two said they have already been hearing from colleagues interested in the position. In particular, they said they are excited to be hearing from candidates of color, who are too frequently overlooked in the field. Once the new artistic director is in place—and perhaps well before that—Pappano said she is hopeful that the theater will forge new collaborative partnerships in the area, growing its youth and adult education programs and expanding its work with other area nonprofits like Integrated Refugee and Immigrant Services (IRIS), the New Haven Free Public Library, and others.